Product Design samples of Curse Properties including the Curse Inc. corporate information site. Global multimedia gaming and technology company. 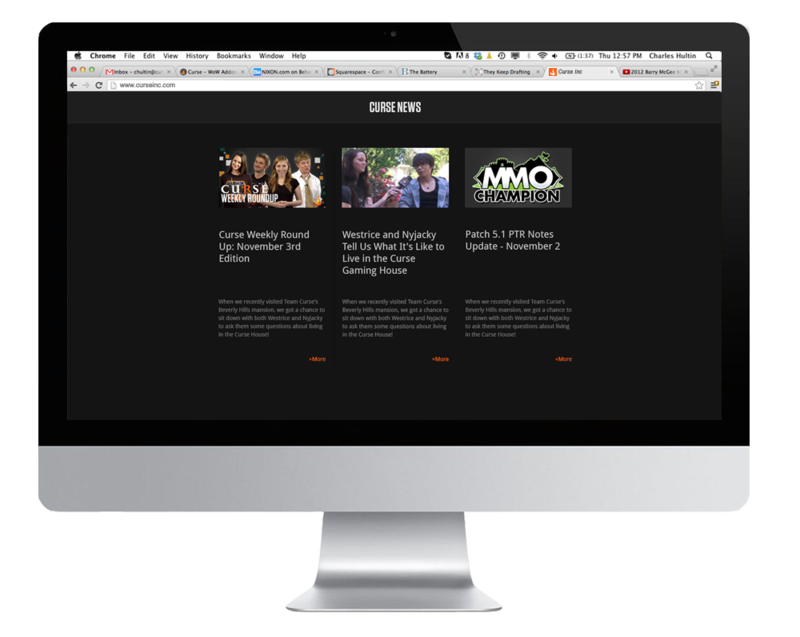 "Curse empowers online gamers with premium resources and content produced for gamers by gamers resulting in an enriched, authentic, and more enjoyable gaming experience." As Curse was going through a bit of a growth spurt we decided it was time to build a concise brand guide covering everything from fonts and colors to presentation templates and email signatures. I had the pleasure of taking on the creative end of this and was tasked with layout and design of the book. Unfortunately the company decided not to print this project, but here is a mockup of what we had put together. I was tasked with a personal project that would be beneficial to the company, but also push my skill set. My Creative Director Brandon Ferrua and I decided that Curse's first corporate information site would be a great project for this purpose. 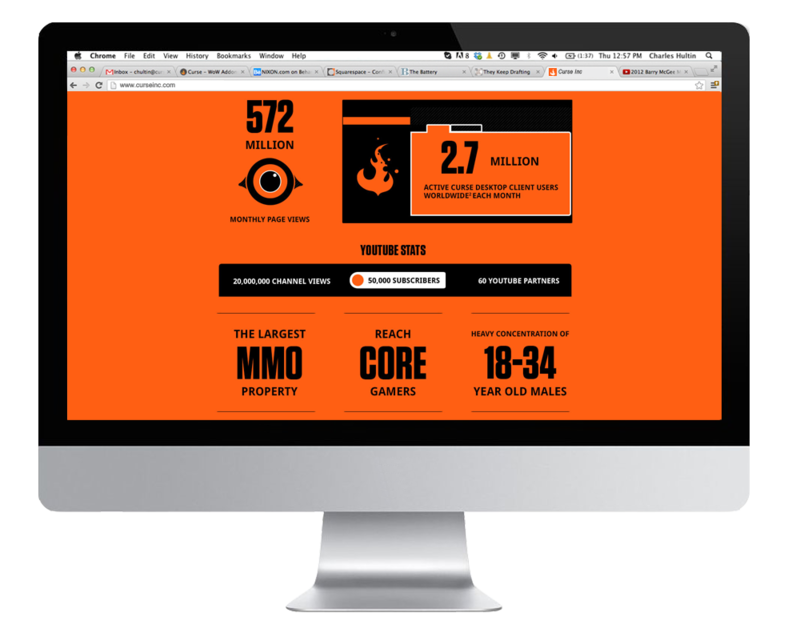 We wanted to go with a clean responsive style that would be easy to navigate while telling the story of Curse along the way. One of the primary responsibilities of my position as Product Designer, was to re-brand and redesign newly acquired Curse properties. These sites were most commonly fan run forum and guide sites for which Curse would then streamline their functions, and design. Curse also provided customer support that these sites may not have previously had.